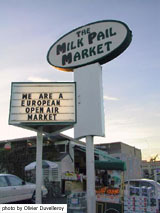 Steve Rasmussen the owner of The Milk Pail Market, 2585 California St., Mountain View, has offered a 10 lb. slab of Guittard French Vanilla Chocolate for Lively to auction. Calling all chocolate lovers! Did you miss the chance to meet us at Ming’s today? Were you outbid for the chocolate items? Now’s your chance!!! Enter a bid for Chocolate Heaven. Help Lively present its educational programs for Bay Area schools. Eat the world’s best chocolate. We’re waiting to hear from you! This entry was posted in Uncategorized on March 3, 2013 by Leslie.